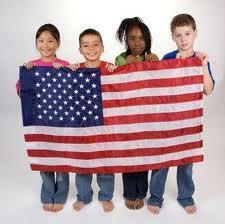 We Need You to Shop our Made in America Bake Sale to Benefit our Youngest of Patriots! I think some of our youngest in this country are paying a big price for having a parent in the military and they are doing it with love in their hearts. Think about it. 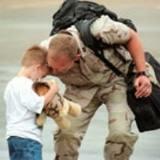 How many Birthdays, basketball games and even births have been missed because of a parent serving overseas for us? Maybe when we find ourselves thanking a Soldier for their service, we should thank their children for the sacrifices they have made too. Our Soldiers protect us, believe in us and our America and although it must be heartbreaking, they leave their children (sometimes for months at a time) to do what they consider a privilege…to protect their fellow Americans and the symbols and beliefs of those who share them. I wanted to do something for the kids but didn't know what. Then I remembered the Beautiful Sweets organic patriotic themed cookies I love. 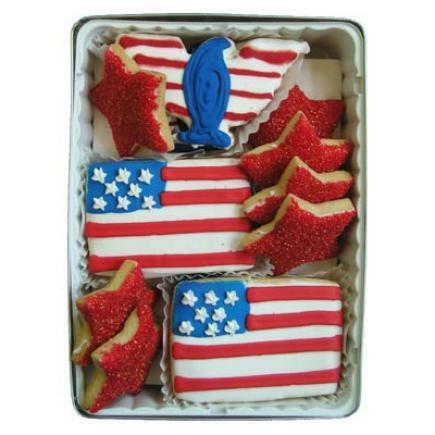 I started thinking that a package of yummy and delicious Patriotic cookies could be the perfect thank you. During the month of August I will be donating all of the proceeds from the sale of each Beautiful Sweets Patriotic Themed organic cookie package sold in my Environmental Booty OpenSky Shop to help send a sweet thank you to the ones our Soldiers love the most...their kids. 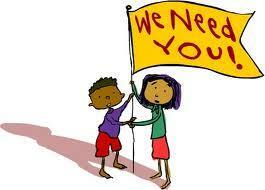 We need you and everyone you know to help us make this bake sale a success! Join us today through Tuesday, August 31 in thanking some of our youngest American Heroes with beautiful and delicious Patriotic cookies. The more Beautiful Sweets you, your friends and family buy at the virtual Made in America Bake Sale, the more Patriotic treats we can provide for the kids! Tell everyone you know!! This Nationwide Patriotic bake sale will show our youngest of heroes that we appreciate the sacrifices they make for our country, just as we appreciate the sacrifices made by their parents. So PLEASE get up off your booty and grab your credit card right now to place your order for these oh sooo buttery cookies! These Beautiful Sweets organic cookies are so good, don't blame me if you get addicted! Then tell all of your friends, family and co-workers in your office to buy some cookies for themselves so that together we can make this bake sale a success and send a ton of cookies to the kids! The best food starts with the best ingredients. Beautiful Sweets uses the finest ingredients possible to bring you rich, delicious, organic treats that are sure to please. We have gone beyond organic to make sure our ingredients come from small family farms, organic coops that support living wages, and sustainable farms that enrich the lives of the local communities. The folks at Army Wife Magazine will be helping us to distribute the cookies to deserving Army kids all over the USA! Our friends at OpenSky who never seem to get enough of giving back! Thanks so much for your support and I will keep you posted!